I note that press coverage continues to tend to overstate the severity of some of the impacts being cited. For example, the LA Times piece linked above speaks of the nearly 10 million behavioral takes as “disruptions of vital behaviors,” whereas the vast majority of the disruptions are modest and very temporary. Likewise, blue whales are described as “flee(ing) foraging grounds,” whereas the recent study being referenced noted only that one blue whale stopped feeding for one hour, while others showed shorter or lesser reactions. That said, the concerns are valid, even if not as dire as often presented; for example, biologists are concerned that repeated behavioral disruptions could present risks for blue whale recovery rates, which lag behind those of other large whales. An interesting aspect of the new legal challenges is the charge that NOAA has failed to consider the most recent “best available science” as it issues initial five year rules and ongoing one-year updates authorizing Navy activities. Of course, every year there are many new studies released that continue to move our understanding forward, bit by bit (e.g., the blue whale study noted above, which included tags on a dozen Blue whales and two Cuvier’s beaked whales; these small numbers tend to make biologists cautious about considering them to be solid evidence of widespread impact). NOAA appears to be adapting to this challenge by including explicit consideration of new research during annual reviews; how, or whether, they revamp their take estimates based on new studies will likely be closely watched by the plaintiffs. (Generally, the Navy and NOAA do extensive EIS’s every 5 years, with annual permitting documents containing less fresh analysis.) The courts will be asked to weigh in on whether this is sufficient to meet the requirements of the MMPA and NEPA. The PacNW suit mentioned above also led to a ruling that the 5-year timeline of considering possible cumulative impacts was too short, and it’s unclear so far whether this challenge is also included in the new suits. 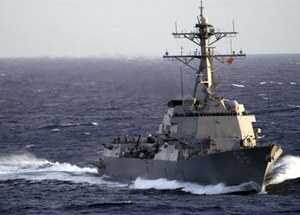 See this link for all AEInews coverage of Navy noise issues. “The Navy’s analysis indicates that while large numbers of marine mammals may be affected by sonar and explosives activities, over 99.9 percent of the animals affected will experience only temporary behavioral effects that do not result in injury,” Rear Adm. Kevin Slates, the energy and environmental readiness division director for the Navy, said in a statement made in August.